They have big heads and even bigger problems. They might be stop-motion animated figures, but they understand they are too old for adoption to be a practical possibility. 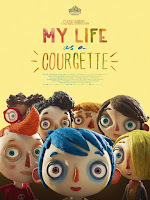 Instead, they will have to make the best of things in Claude Barras’s My Life as a Zucchini (trailer here), which screens during the 2017 Sundance Film Festival. If nothing else, Barras teaches us “courgette” is the French word for zucchini. Nine-year-old Icare prefers his rather odd vegetable nickname, for a host of complicated reasons. That was what his drunken mother used to call him, before Zucchini accidentally killed her in an instinctive act of self-preservation. Since his father has long-absconded, he is remanded to an orphanage, where his preferred moniker will draw the bullying attention of Simon, a longtime resident. Why yes, Zucchini has been picked up by GKIDS, why do you ask? For a while, things look decidedly Dickensian for Zucchini. However, Raymond, the kindly policeman who worked his mother’s case, periodically drops by to check on him. Life takes a turn for the better when the spirited Camille moves into the home (following her parents’ murder-suicide). He takes an instant liking to her and it seems to be mutual. However, unlike the other children, she wishes to stay in the foster home rather than moving in with her shrewish, exploitative aunt. Obviously, Zucchini/Courgette is not your typical merchandising-friendly animated film. Adapted from Gilles Paris’s YA novel (which is reportedly even more naturalistic than the film), Barras and screenwriter Céline Sciamma (a prominent French filmmaker in her own right) are dealing frankly and forthrightly with some serious subject matter. They do so in a way that will make young viewers appreciate not being talked down to and have animation fans admiring the way they stretch the dramatic use of the art form. Clearly, Zucchini was a labor of love for Barras and his design team, because all the sets, backdrops, and costumes have been crafted with extraordinary care. As grim as things get, there is something about the look of the orphanage that inspires hope. Ultimately, the narrative also gives viewers a bittersweet glow. This review is based on the original French language dialogue track, which features some unusually sensitive vocal performances, particularly Michel Vuillermoz as Raymond the copper, so the English dub cast better not screw it up. In fact, it sounds downright terrific thanks to Swiss jazz-crossover musician Sophie Hunger’s lightly grooving soundtrack. At just under seventy minutes (FYI, with a short stinger midway through the closing credits), Zucchini stirs quite a few emotions in a relatively short span of time. 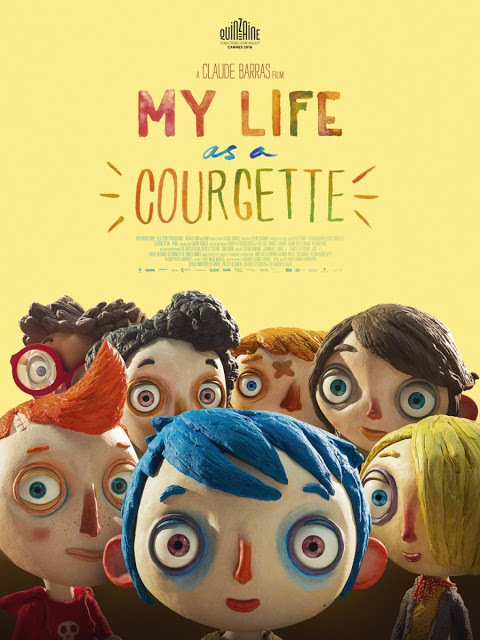 Rather deservedly, it already has a reputation as the little-film-that-could, having secured a Golden Globe animation nomination and a spot on the best foreign language Oscar shortlist. Indeed, just about anyone should respond to its deep humanistic embrace. 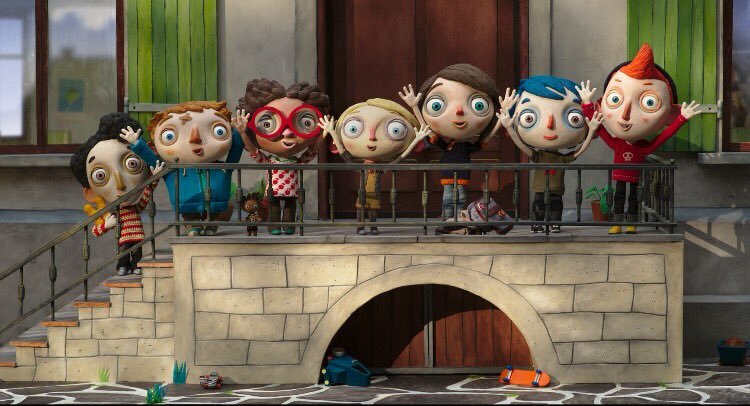 Very highly recommended, My Life as a Zucchini screens again this afternoon (1/22) and this coming Saturday (1/28) in Park City, as part of this year’s Sundance.